The inspection is completed and now it's time for the hard work: Reviewing the resale certificate of the condo building. 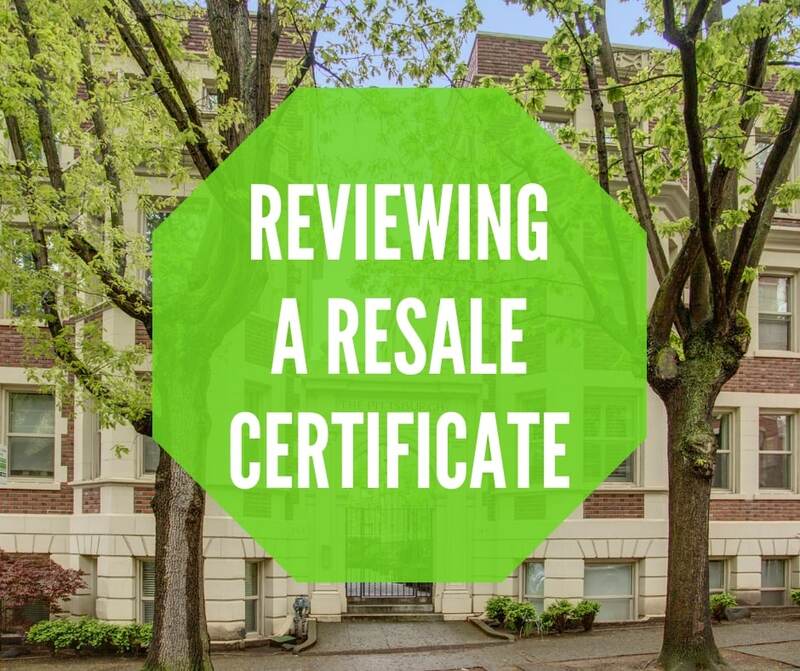 The resale certificate is part of a larger package of information that is produced by the property management company or the board of the condo association as part of your purchase into the community. Most buyers receive this package and are overwhelmed by the mountain of information that is being tossed at them with only five days to review and approve. We are going to break down the critical items that you as a condo Diva Dweller/buyer need to know to ensure you are buying into a community that is in tip top financial and physical shape. Unpaid Dues in the Building: Given our current climate there are often unpaid dues in a condo building. It is the first sign of a foreclosure. These things happen but if it is happening at such a rate that the condo building is suffering economically than this should be a red flag to talk about with your Real Restate Diva. Amount in Reserves Compared to the Reserve Study: Some smaller newer buildings probably will not have conducted a reserve study.Â More than likely everything is fresh and new that there is no need to think about work ten years down the road. It is our recommendation that every condo building conduct a reserve study and start actively working to building up their financial reserve fund. A reserve study looks at the replacement and/or repair costs for major work in the building. This would include siding, roofs, plumbing, etc.Â The recommendation is that an association should be contributing about 20% of their yearly dues to building up the reserve fund. Yikes â€“ that could mean a hike in dues, but that is always better than unexpected work resulting in an assessment. Pending Work: Review the type of work is planned and the funds to cover the work. Owner/Renter Ratio: As a homeowner/Diva Dweller one should always be looking down the road to ensuring the ability of the home to be sold. A high renter ratio indicates that you mostly have investors in the building. Investors are way more likely to default on their loans then a homeowner. Look for at least 55% owner occupied buildings. Preferably a rental cap of 30% renters is the best in our book. But your needs may be different. Lawsuits: Believe it or not there are actually law firms out there that do nothing but prey on small condo buildings to go into litigation over nonsense issues. Very few lenders will fund a building where there is an active lawsuit. Once a lawsuit is in the works that condo building could be locked up for years without the ability for owners to sell their homes. As a result you will see a spike in foreclosures in these types of situations. Sometimes it is critical that the association go after the original developer for legitimate issues so the building does not have to pay for someone else’s mistakes. Review each situation and judge for yourself. Fee Schedule: The fee schedule details out the move in/out fees, recording fees and other little nuances when a change in a unitâ€™s ownership occurs. Some of this is included as part of your loans costs that will be detailed on your HUD statement. Call your escrow person to get a clear idea of the exact amounts, as every building is different in what they require. Take a look at the budget and make sure you see line items for the reserve fund, repairs and other items. Itâ€™s always good to make sure the building is doing what they can do to keep the building in tiptop shape. You might own your home from the walls in but you and your neighbors are responsible for the entire building. The CC&Rs are the rules and regulations for your building. Here is where you will find out about the pet policy, usage of the common areas and other little bits about living in a larger community. The most accurate CC&Rs will be included in your title report. Take a look at the reserve study. The amounts estimated are always higher than the actual work. Assume that the association is not going to be able to fund the reserves overnight. Make sure they are making strides to fund the amounts stated in the reserve study. Changes are always happening and our best advice is to get involved and stay involved with the association. As a homeowner in a condo building you are buying not just the unit but into the overall community. There are a bunch of items to review to make sure it is the right community for you. Thankfully most condo buildings are aware of the situation in todayâ€™s market and are actively working toward a better community. Back in the mid 2000s, homeowners treated their building like they were renters. Now we have way more involvement and people truly care about each other and their building. Check out our post about “Getting Your Condo Community Into Shape” as a point of reference once you become a homeowner/Diva Dweller.